Khao San Road in the best-known backpacker street in Asia, a small street dedicated to leisure, is the center of passage for any traveler who is in Bangkok , this area has very cheap accommodation, lots of restaurants and food stalls and a Traveling atmosphere that will infect you. This famous Thai street does not have a very interesting story to tell but due to its location in its surroundings you will find some of the most famous tourist attractions in Thailand, if you have come to Khao San Road and you have taken something in one of its terraces or have you purchased your travel ticket to the next destination in Thailand you might be interested to know 10 things that you can not get from the most famous street in the Thai capital . 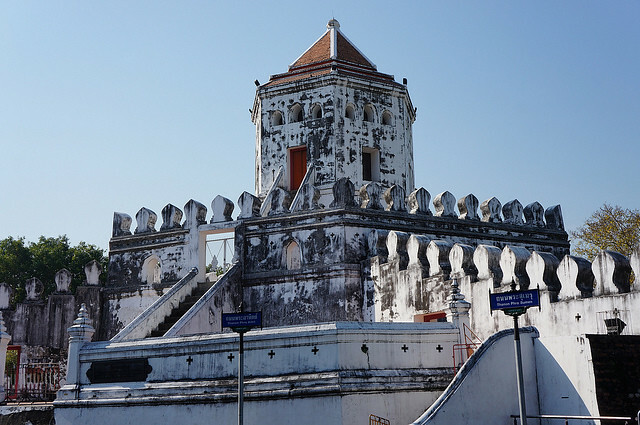 It is located in Phra Athit, within the Santichaiprakarn park, the Phra Sumen Fort is one of the forts that still remain of the wall that surrounded the city of Rattanakosin, this wall surrounded the Chao Phraya river bank along with 14 other towers of Surveillance of which only remains and the fort of Mahakan, was built in 1783 during the reign of King Rama to protect the city from possible foreign naval invasions. The Democracy Monument is located on Ratchadamnoen Klang Street, located in a roundabout characterized by its four-wing shape that is located around the main figure, is the main symbol of democracy and freedom in Thailand . 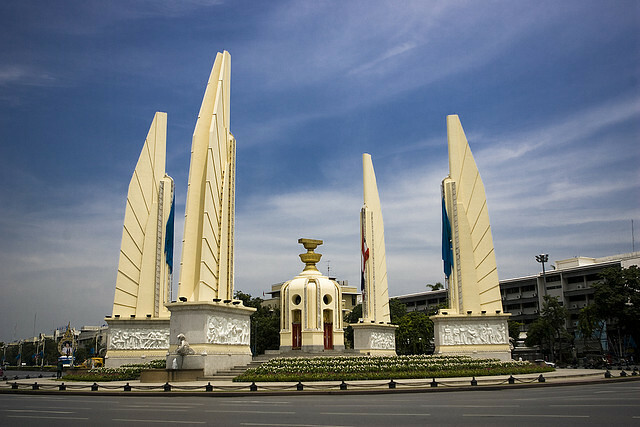 The wings are 24 meters high and symbolize the signature of the constitution, each one is destined to one of the four arms of the armed forces of Thailand. 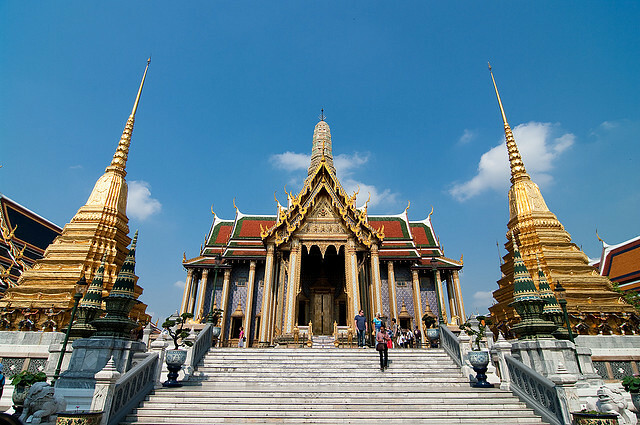 The number one tourist attraction in Bangkok, if you step on the city you can not leave without exploring the Grand Palace , this spectacular complex was built in 1782 to be the home of the King of Thailand, a place where you will find some of the most beautiful temples in Thailand, museums about its culture and infinity of sculptures that symbolize the history of this country. To enter you must do it with long pants and covered shoulders, if you do not have the right clothes at the entrance you can ask for clothes without additional cost you will only have to leave a sign and pick it up when leaving. 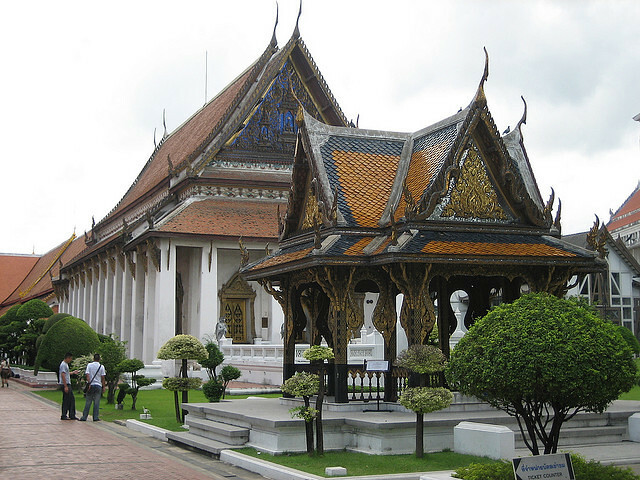 If you like art in the National Museum of Bangkok you will find the largest collection of art and objects from all over Thailand, if you are near the Royal Palace your visit is a must, you will see some of the most amazing antiquities of Thai culture where ornaments and decorations take on special significance. 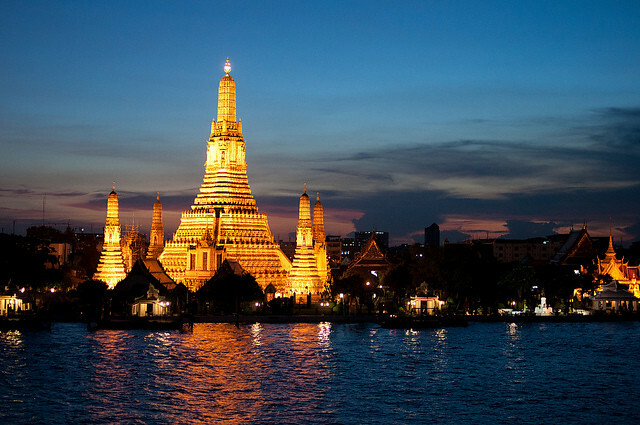 Enjoy the two most famous neighborhoods of Bangkok, the Chinatown neighborhood where you can discover everything that the Chinese community has brought to Bangkok, its gastronomy is one of the strengths of this street, if you are looking for silk of the best quality or try a little Indian food Little India is the place you should go, do not miss these neighborhoods that have some of the most distinctive signs of their culture. 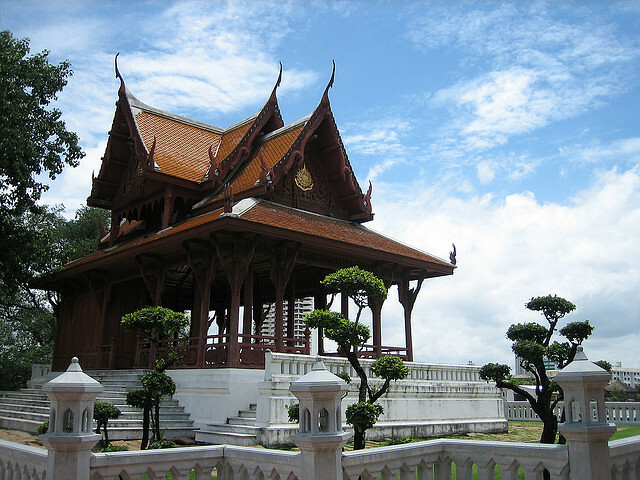 This small green park has one of the best views of the Chao Phraya River and the modern Rama VII bridge that crosses it, it is an outdoor area where the Thai people perform activities such as juggling, aerobics or classical music. It has become the meeting point for anyone who likes to dance breakdance outdoors. 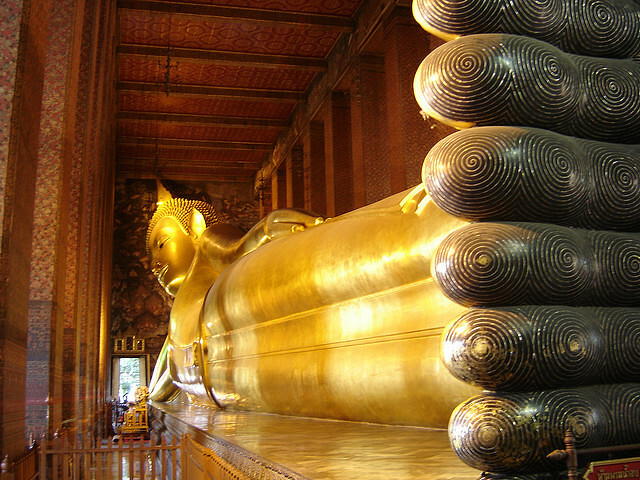 The temple of Wat Pho is also known as the temple of the famous reclining Buddha , it is quite close to the temple of the Emerald Buddha and if this is your first visit to Bangkok you can not miss one of the largest and most famous sculptures in Thailand, this reclining Buddha It measures 46 meters and I assure you that taking a picture is complicated with all the columns that support the enclosure, it is a truly magical place that together with the decorations will be one of the places that you remember most of all Thailand. 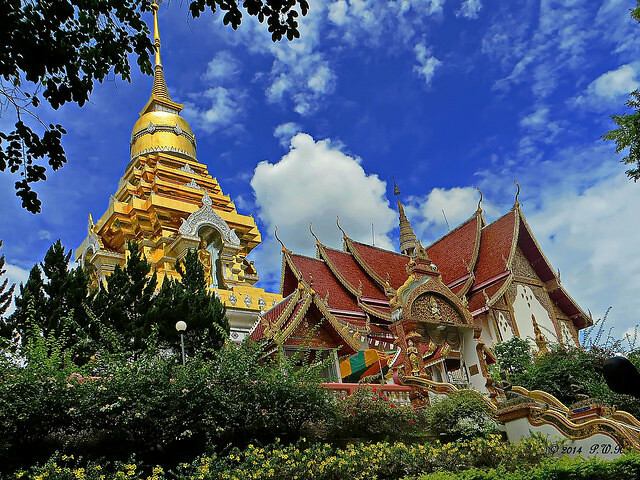 It is known as the Golden Mountain, the Wat Saket temple is located on the top of a hill, is 58 meters high and inside houses a relic of Buddha, around you will find gardens and sculptures typical of the Buddhist culture. 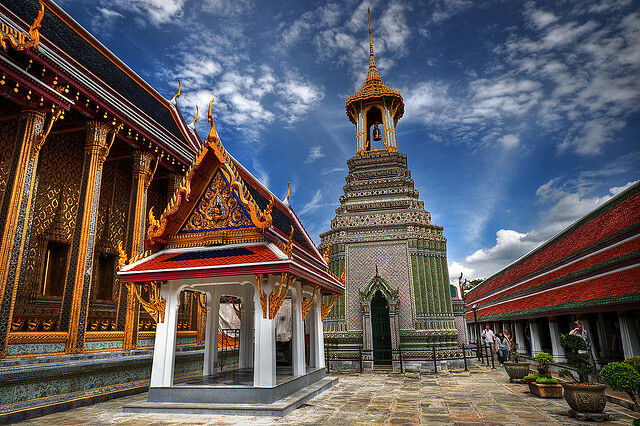 Wat Phra Kaew is the temple of the Emerald Buddha, it is one of the most famous Buddhist temples in all of Thailand and a really beautiful place, it is inside the Royal Palace and inside you will find one of the most famous Buddha figures carved in jade , you should not miss the opportunity to take a photo in which it can be one of your best images and memories of Bangkok. 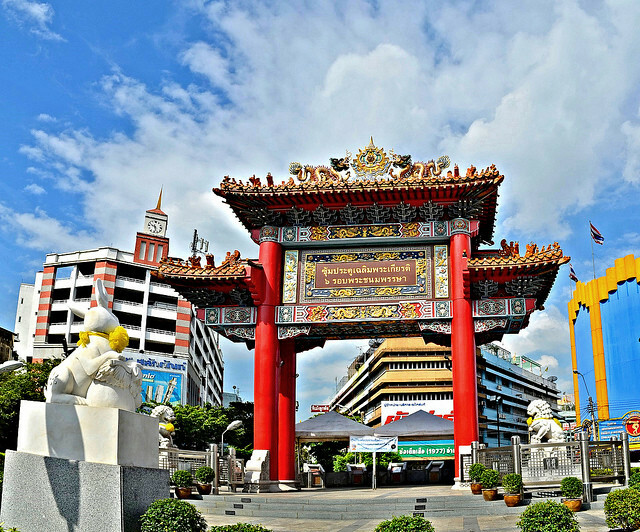 As you can see around Khao San Road you have a lot of things to see, some of the most outstanding tourist attractions in Bangkok are in this area, plus spend a day in this street full of life and other travelers like you is priceless.